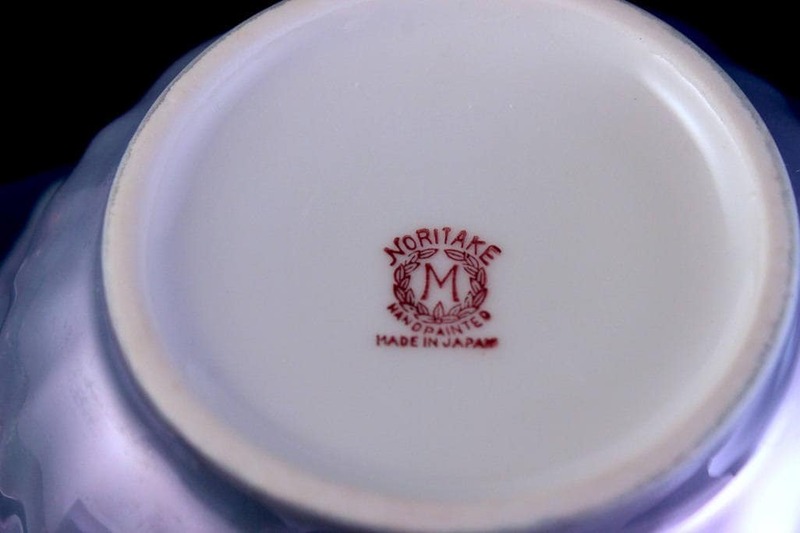 A gorgeous bowl with matching underplate made in Japan by Nortiake Morimura Bros. 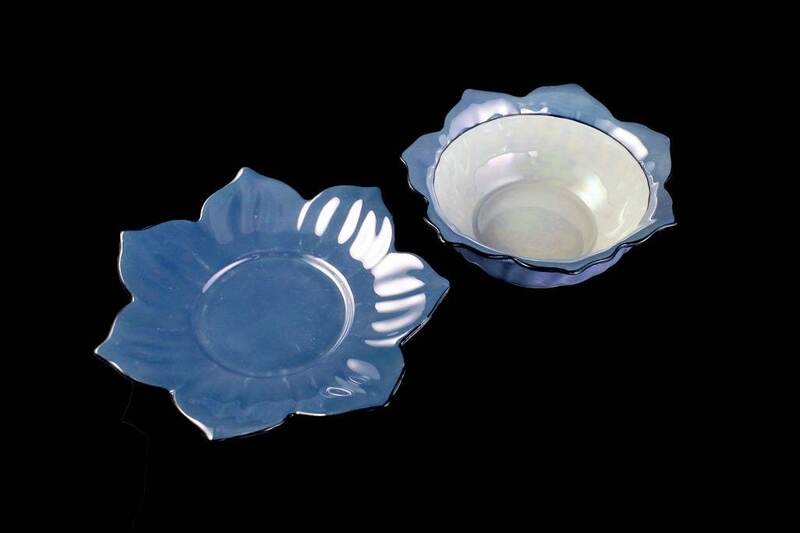 This set is shaped like a lotus flower and the inside of the bowl is white with a black line around the verge and blue edges and the outside of the bowl is also blue with black trim. The underplate is solid blue with black trim. 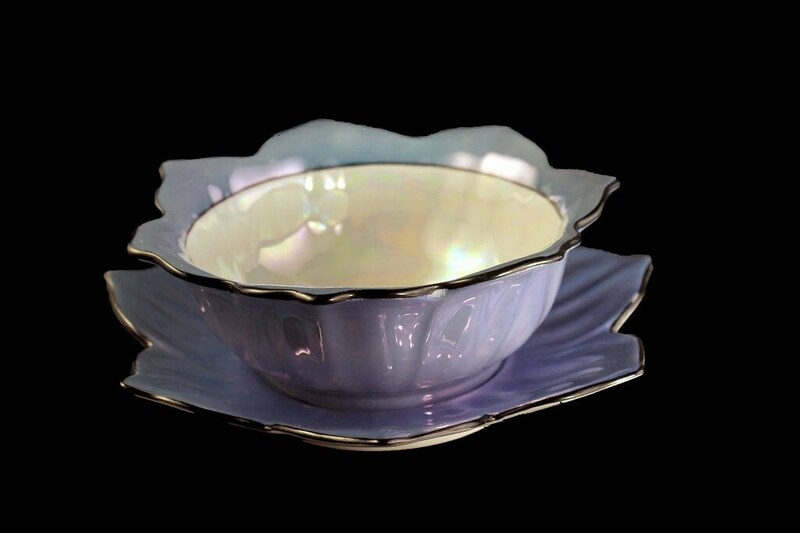 This set is handpainted and the rainbow effect of the lusterware adds shine and elegance. 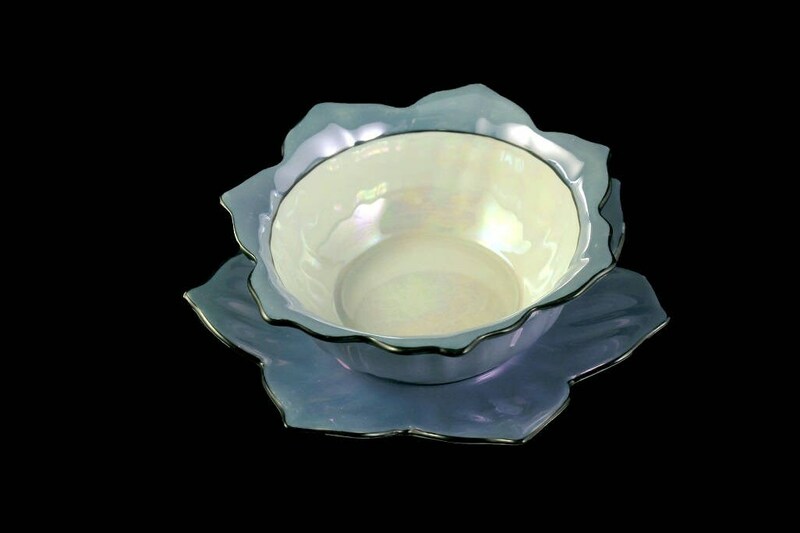 A perfect way to serve mayo, salsas, sauces, or other condiments. 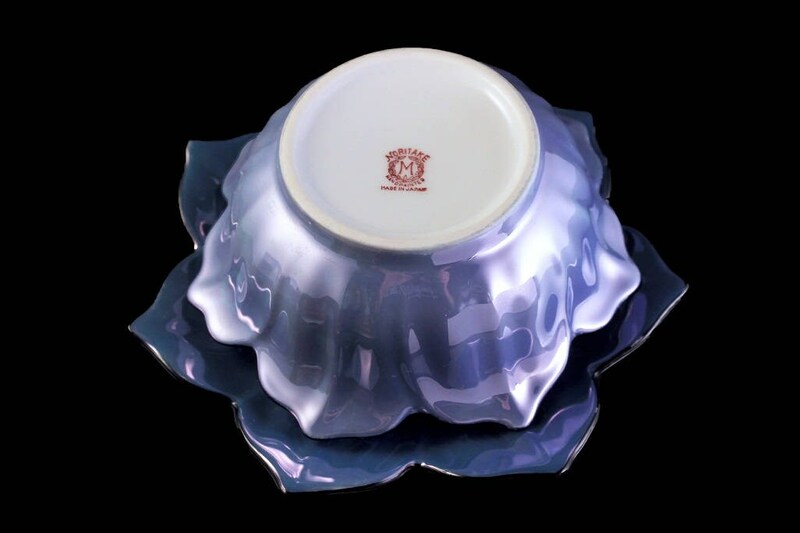 A great individual rice or soup bowl. 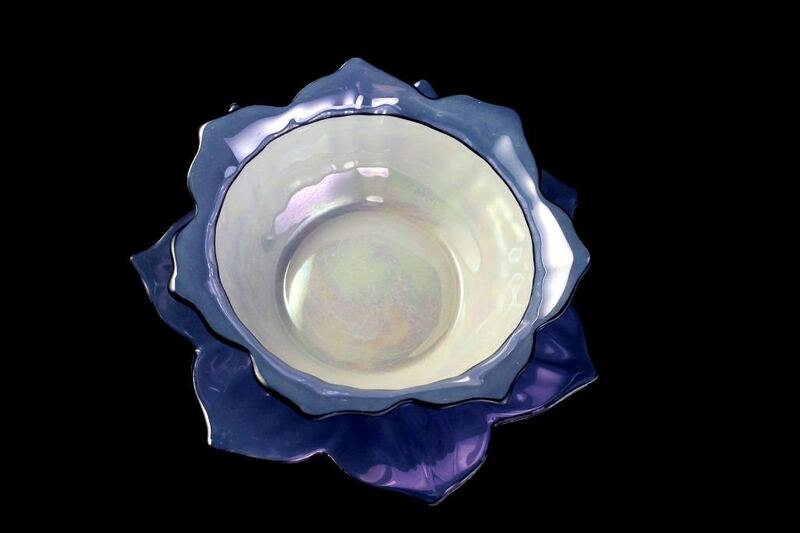 It would look fantastic on a buffet, sideboard, or dinner table. 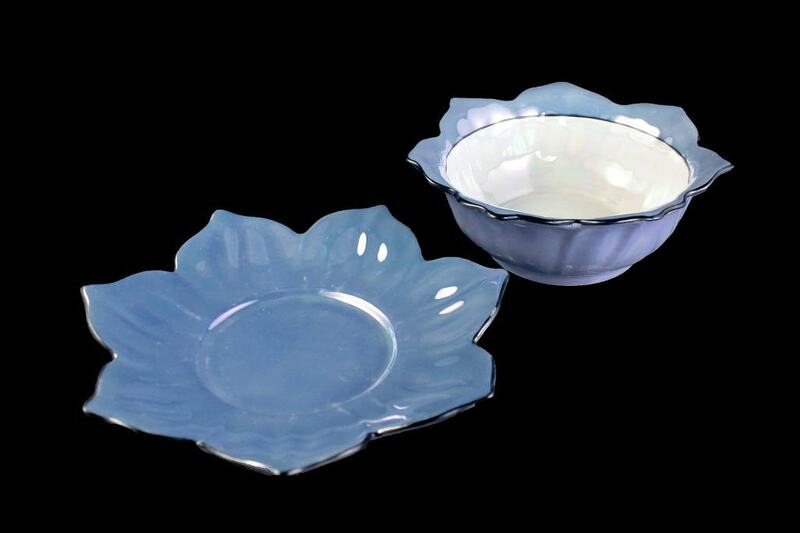 This set is from the 1920s and in excellent condition. There are no chips, cracks, or crazing. There is very little rubbing of the trim. 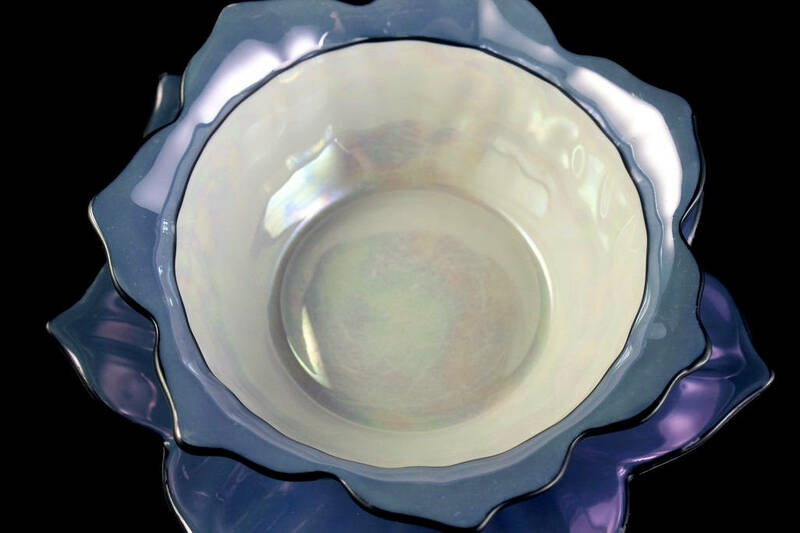 The underplate does have some minor scratching from the bowl being placed on it. The bowl has no utensil marks. 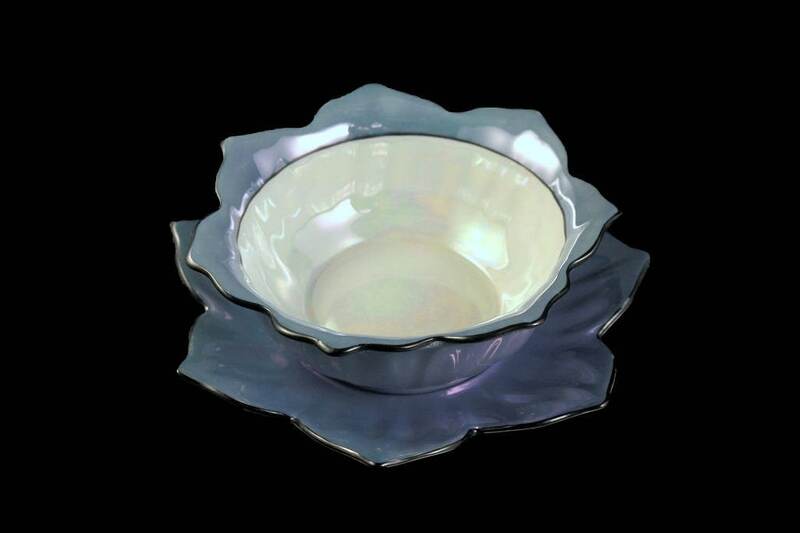 It would make a great housewarming, hostess, wedding, shower, or holiday gift. A great piece for the collector.